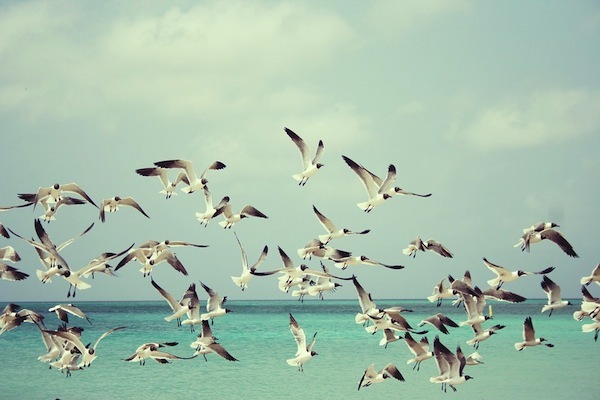 Hastings Online Times – Do you speak seagull? “When was the last time you parlayed with a pigeon?”, asks Alex Lockwood. “Caterwauled with kittiwakes? Mimed mole? The languages of other animals have always surrounded us, cocooning us in their cacophony of calls and shrieks and coughs and barks. They may not be speaking human — but then we don’t speak seagull either, to use a phrase from last year’s excellent exhibition of seabirds, language and the living world at Brighton’s ONCA Centre for Ecology and the Arts. But what animals have to say to us—and what we may learn, if we listen—has suddenly become urgent. Do you speak seagull? is no joke demand, but a pressing question. Such urgency arises from out of what we and our nonhuman companions both share: a mortal vulnerability to this wildly warming planet. To ‘listen’ to the animals with whom we share this planet, in our gardens and allotment plots and on our dinner plates, is not only to pay attention to their behavioural quirks, altered migration patterns or drastically falling numbers. We can do that easily, because those indicators are clear enough: the 80% loss of starlings since 1979; the extinction of the short-haired bumble bee; and most recently the “ecological Armageddon” of the loss of 75% of our flying insects, which we’ve all witnessed—but said nothing about—not least in the lack of insects spattered across our car windscreens. But the question is not metaphorical. To listen to other animals is to actually listen. With our ears. Their songs, voices and communication have been central to our environmental imagination long before, but certainly since the inception of the modern environmental movement. It was the silence of songbirds, brought about by the use of DDT and other pesticides, that was central to the success of Rachel Carson’s 1962 book Silent Spring. That book inaugurated our contemporary understanding of ecology and led to the setting up in America of the Environmental Protection Agency. (The EPA is of course on Donald Trump’s hit-list, and he has signed, with that overblown pen of his, the demise of the EPA as of 31 Dec 2018.) If you go outside and listen, you will hear similar absences today: where is the buzz of wasps? Where is the rustle of the murmuration? Where is the plunge of the gannet? The scrabble and boor of the badger? They are muted and dimmed. There is no doubt that it is we raucous humans who have hushed nature. And this despite our self-professed love of the outdoors, of wildness, and our proclamations to be a nation of ‘animal lovers’. Pet lovers, perhaps. Seafood lovers, perhaps. As Patty Smyth once sang, maybe love isn’t enough. Even if we protect what we love, there appear to be limits to our emotional and physical capacities to act on love. Maybe it’s not love we need, then, but to listen. Listening comes from respect: a sense of fairness, and a feeling of altruism for others. R-e-s-p-e-c-t, then. Now, who sang that? What are we listening for? That’s simple: those voices that either by amplitude or communicative vocalisation are being made by the animals around us. When you understand the alert of the blackbird, you will know you’re too close to the nest. When you hear the constant eeek-eeek of the hungry herring gull chick, you will know to put out your food scraps. If you’re on the farmyard, listen out for the distinct calls made between cows to identify their favourite friends among the herd, and you’ll remember that you too speak to friends differently. If near the sty, try to make out the different vocalisations that a sow has for each of her piglets, and understand that you, too, have particular names for your children. So how do we tune in? Walking, running, swimming, climbing and feeling our ways into environments in which human agency and organisation are not dominant is one way. There are of course urban environments full of animals, but it is in these places that we cannot hear their hush for the din of human activity. One thing we can do then, as the world removes itself into cities — 70% of the planetary population of humans will be urbanites by 2050 — further away from the other animals, is to read. There have always been books concerned with the voices of animals. Black Beauty is one. The Life and Opinions of the Tomcat Murr another. And there has been a renaissance of words this century, wonderful literature and nature writing that acts both as conduit and amplifier to the voices of animals. But beware. Much ‘new’ nature writing replicates a human supremacy based upon our ability to decide which species are exotic (such as hawks) and worth writing about, and which are not (such as the pheasants, rabbits, and day old cockerel chicks fed to the bird of prey). H is for Hawk should really have been called, after all, H is for Helen; its rallying cry to protect nature is carried on a wind of assumption: that we are the only species with the right to silence the voices of those we consider not worth loving. Look instead for the books by authors who written under the sign of climate change. In science, there is Sussex-based David Goulson and his magnificent campaigning explorations of the lives and deaths of our bees as we spray and warm them out of existence. And in literature, authors are finally grasping the mettle to do what Amitav Ghosh, in The Great Derangement, says we have not and perhaps cannot: write well about climate change. 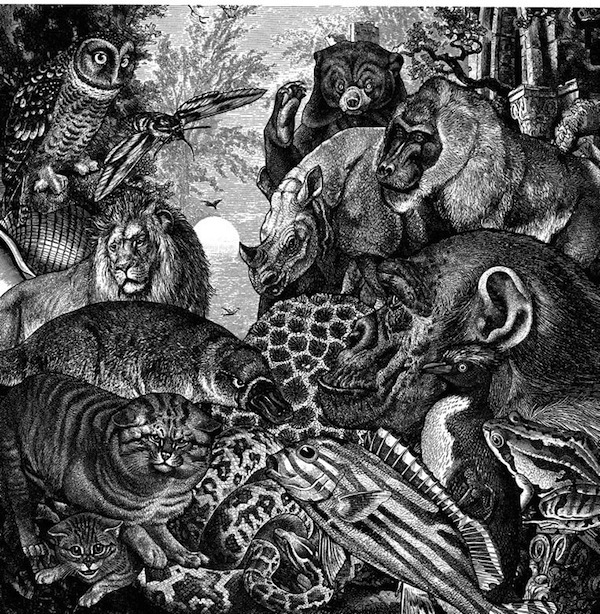 What is interesting to me is that the best writing—the most challenging, the most experimental, the most feeling writing — about climate change seems to engage with this question of listening to nonhuman animals. One south coast path inhabitant (I use the term both meaningfully, and endearingly, as I imagine a creature digging in the dirt) has done just that. Nicholas Royle, in his novel An English Guide to Birdwatching has achieved what no other British writer has yet managed: to write about birds, people, bankers, capitalism, and climate change, altogether, and in a way that asks us to not only listen, but that moves us to act upon what we hear. The philosopher Donald Turner has suggested that “if a non-human animal’s story is to be told or heard, this will require a different type of listening than that to which humans are accustomed”. That requires bravery from our artists. As writers we must interrogate our prejudices about other animals, and our easy alliances with standard human operating procedures, to take seriously the radical otherness of animals, and their ways of being in the world—and then, communicate it to others. Climate change demands this of us. Those animals who are silently waiting for us to stop destroying their homes demand this of us too. So we should demand the same of each other. It’s being vocalised around us right now, if we knew how to listen. 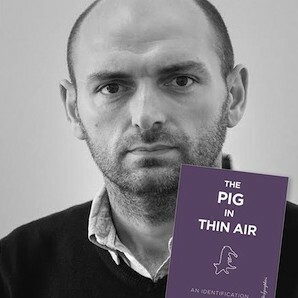 Dr Alex Lockwood is the author of The Pig In Thin Air. He appears alongside Nicholas Royle at the “Climate Change, the Anthropocene, and Language” event at the Beacon, Hastings, 6pm on Friday 24 November. Previous HOT article: Climate Change, the Anthropocene, and Language.